A pair of 18K rose gold diamond hoop earrings. 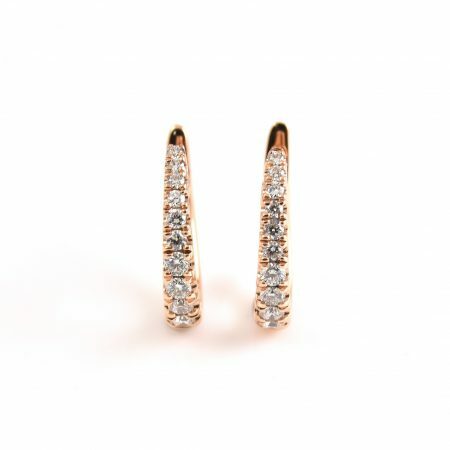 Featuring a total of 0.22ct of round brilliant cut diamonds, claw set into a rose gold setting with a hinge earring fitting. 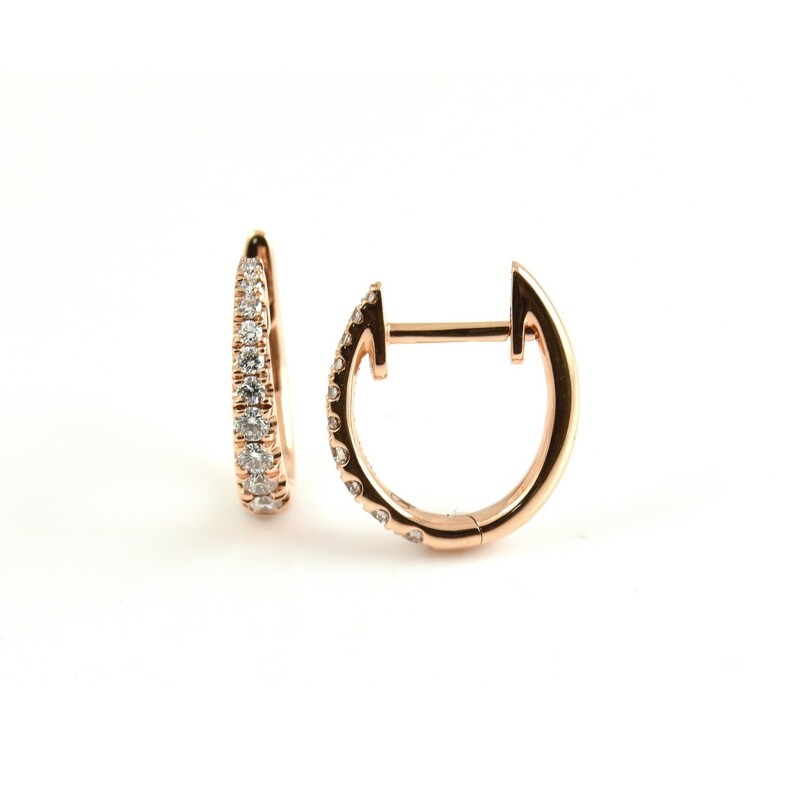 Looking for rose gold jewellery? View our collection here.